Routledge/ALT Teaching Law with Technology Prize: We got shortlisted! Around 18 months ago, my colleague Victoria Gleason and I, embarked on a new project. Regular readers will know that we supervise students who provide pro bono legal advice to businesses through our law school’s legal advice clinic, the Student Law Office. Free legal advice for businesses is a rarity, and we wanted to spread the word about our students’ work in the clinic. We also wanted to provide our students with additional opportunities (outside of their practical day to day advice work) to build their business development, written, research, digital and reflective skills. So… we designed and created the student-led blog We Take Care Of Business. And I’m delighted to report that the blog project has just been named in the shortlist for the Routledge/ALT Teaching Law with Technology Prize 2016. A delighted Victoria and me, shortly after hearing the news. The blog is a collaborative, voluntary, student-led project. We don’t dictate the content of the blog – the students decide what they write about. And they deal with a diverse range of topics! You’ll find useful information about legal issues like intellectual property, choosing the right business structure and commercial contracts for bands in the Information for Businesses section. And in the Information for Students section, you can read all about our students’ experiences in Student Law Office and beyond. Those posts contain engaging reflective content. Victoria and I read the draft posts before they go live. We fact check and sometimes provide suggestions and other feedback, but the students have complete ownership of the blog. Each post provides the name of the student that wrote it, a photo of their choice and a biography they have written. The blog gives our students the opportunity to have a strong digital footprint – something we know employers are looking for – and it enhances their understanding of best practice in social media. Even the Law Society has guidance about social media these days! Through the blog our students demonstrate they can use social media in an engaging and responsible way. Over half of the students we have had in the clinic since the blog project started have written for it. We’ve even had collaborations between students in our clinic and students working in other areas of the Student Law Office. It has been fantastic to see these organic student partnerships arise via the blog. In addition, students who haven’t written for the blog have told us that they also find it useful as a source of information about the law and students’ experiences. Amazingly, the blog has had just under 3000 visitors, from over 45 different countries across the world! Former students have reported that their participation in the blog “sealed the deal” in job interviews and enhanced their employability. “Contributing to the blog proved invaluable in terms of boosting my employability. In interviews, I was able to demonstrate my business development skills by speaking about the client publicity that I had written. 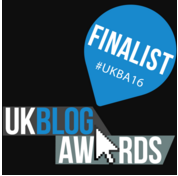 Victoria and I will be showcasing the blog project tomorrow at the 2016 Association of Law Teachers Conference, alongside our fellow finalists. The judges will consider our presentation and the written submissions we’ve made. There’ll also be an online vote – keep your eyes peeled for that! We find out the results tomorrow night at the Conference dinner. Fingers crossed, and good luck to all! Previous Building a PhD community – introducing PubhD Newcastle!